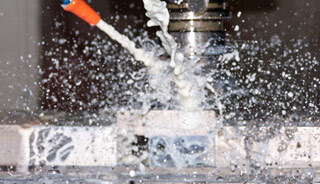 Fastec Engineering offers the best in CNC turning. We have a skilled in-house team of machinists who are all fully trained in CNC turning and have the benefit of working with cutting edge CNC machinery with full four axis machining and mill drill capabilities. As well as traditional CNC turning machines we also have three sliding head machines which can create parts of up to 32mm in diameter. We continuously make sure that our staff are knowledgeable in the latest methods and technologies, providing regular training and investing in research and development, to keep Fastec Engineering one step ahead of the crowd. Having worked on a range of bespoke projects for blue chip clients, all of our machinists understand the importance of accuracy and precision. We’re happy to help out with the entire design and engineering process, or just a specific part, such as the CNC turning and milling. Either way, we’ll make sure that any work we do carry out for your business is completed to the highest standard, and ensure that you are 100% happy with the finished product. For more information, please contact us online or call 01638 660 186 to chat to the team directly.